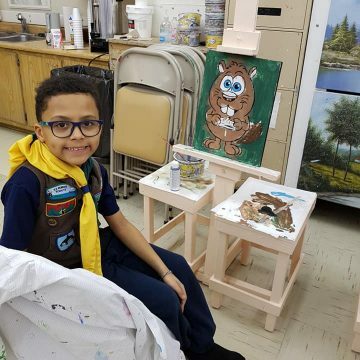 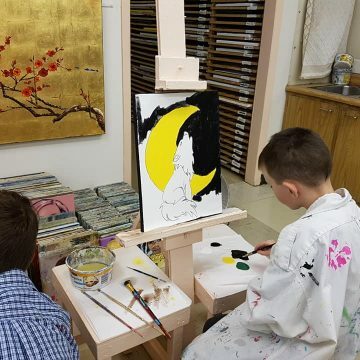 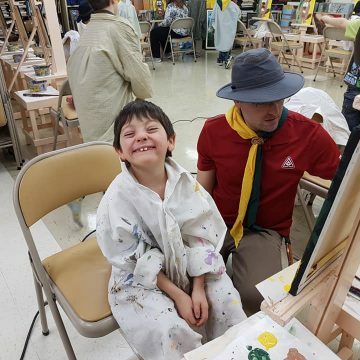 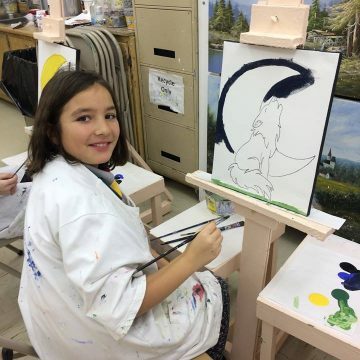 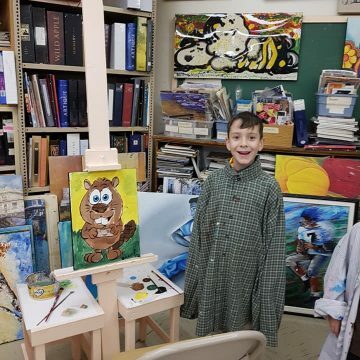 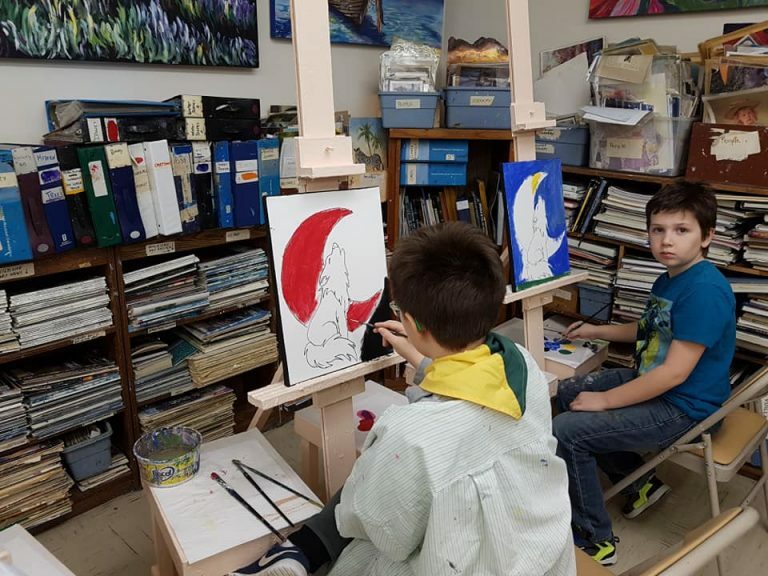 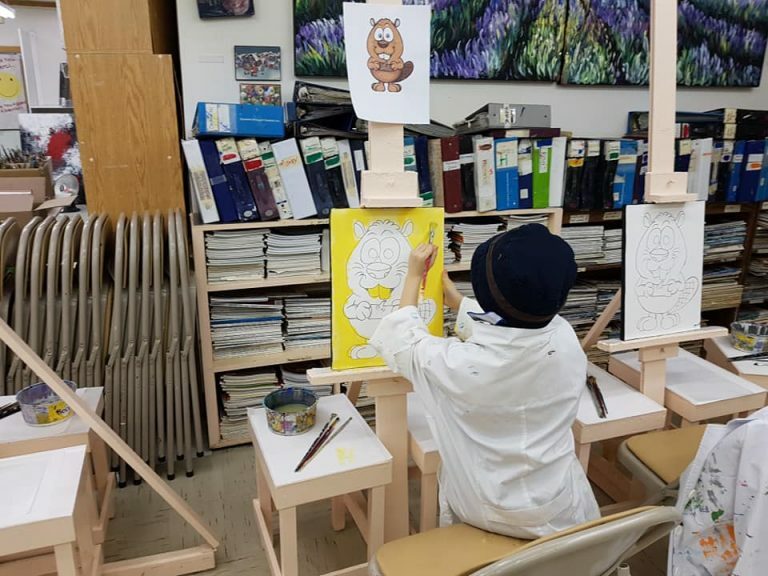 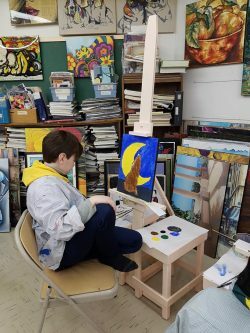 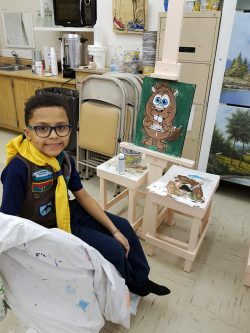 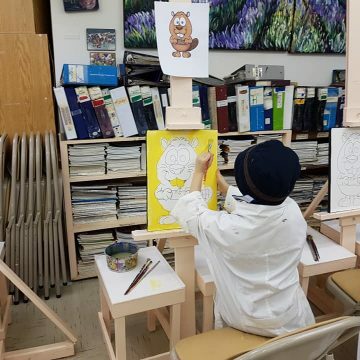 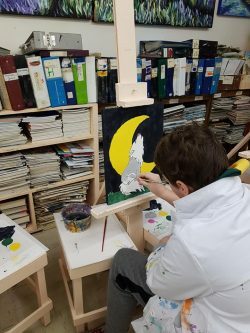 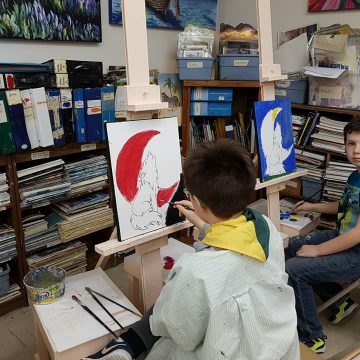 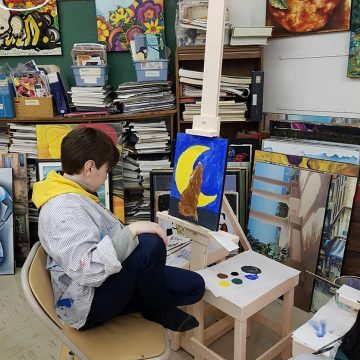 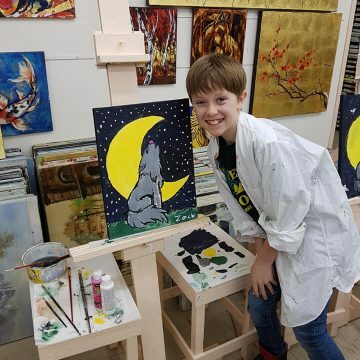 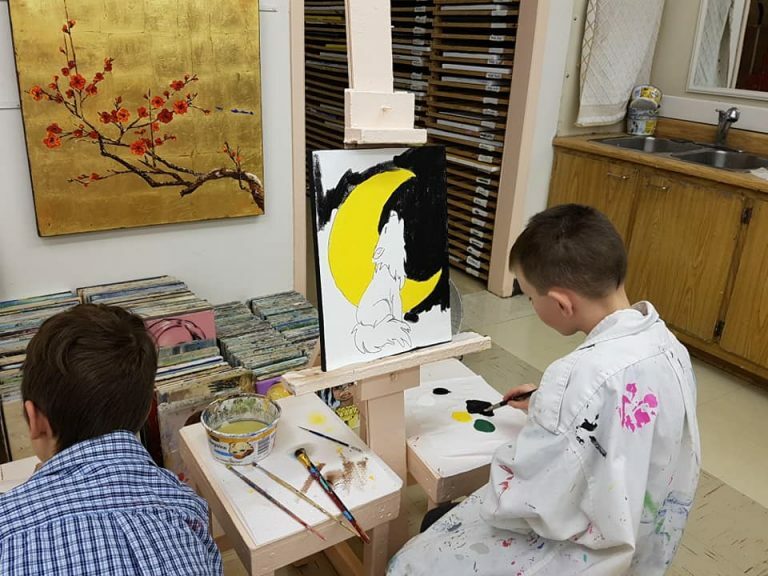 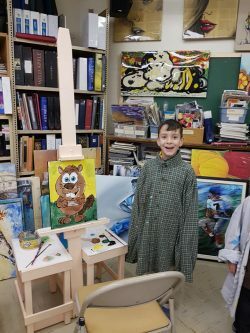 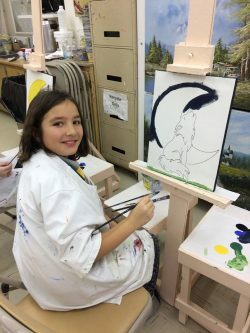 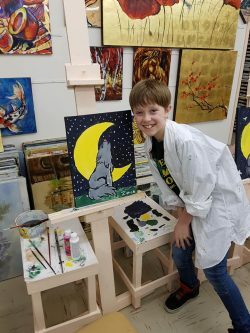 Our Beavers and Cubs participated in a Paint night at the West Island Creative Arts Center. 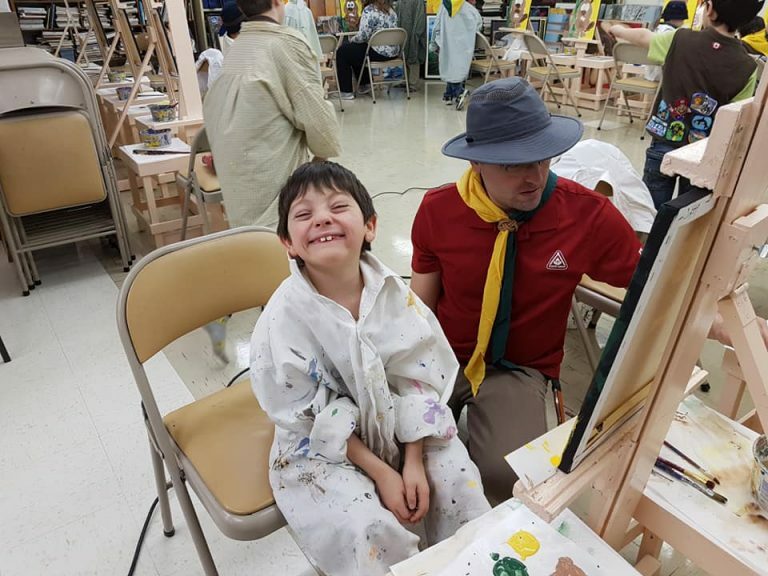 The Beavers chose a canvas of a happy Beaver and our Cubs painted a Wolf baying at the moon. 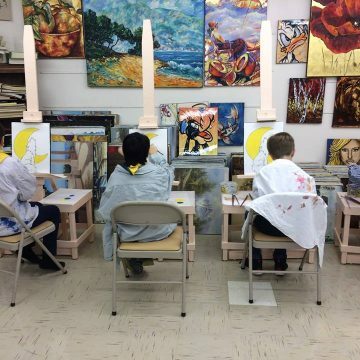 They were REAL artists, complete with art smock and acrylic paint. 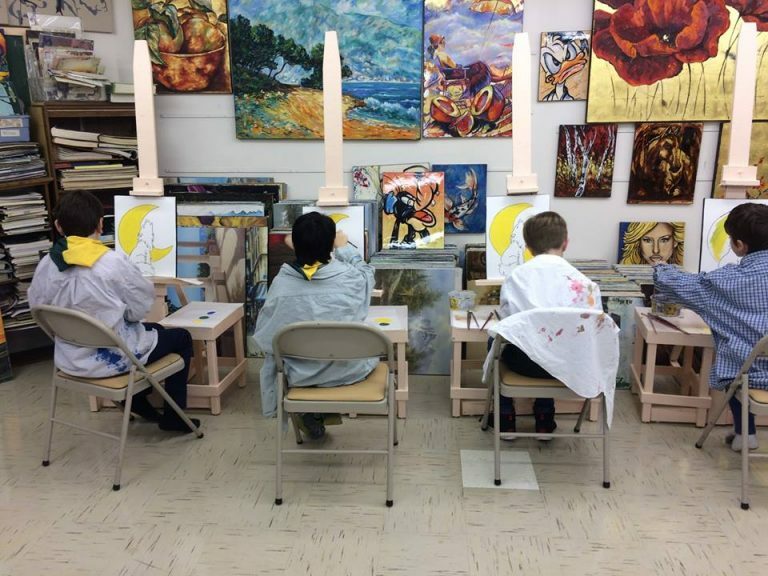 They got to choose from a wide range of colors and different brushes. 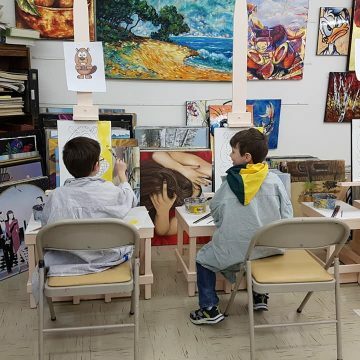 We have never seen our kids concentrate so much! 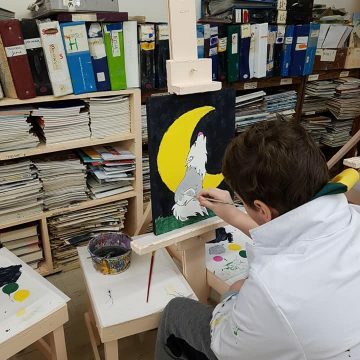 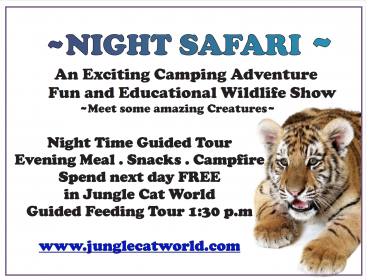 They really enjoyed the activity and to have a work of art they can hang on their wall – knowing that they created it – was the best part of all! 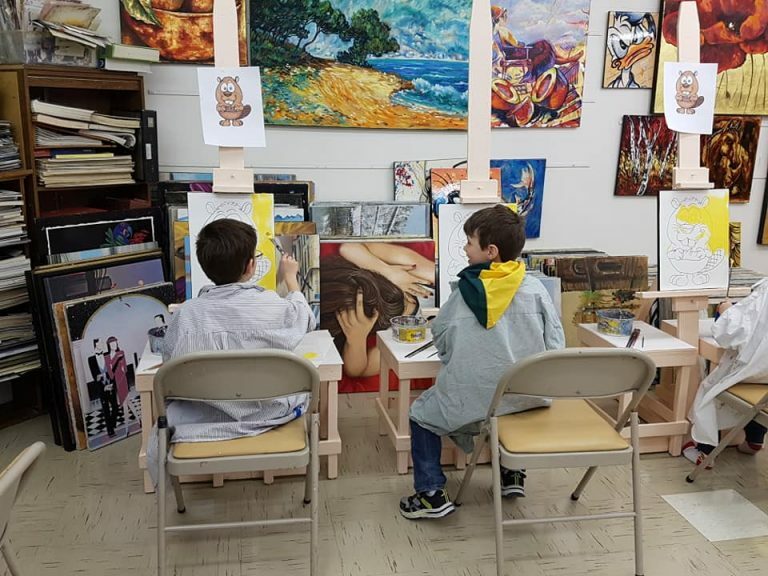 It was interesting to see the different creations from the kids. They definitely want to participate again next year in an Art night!